With Govan Cross and Water Row already looking fantastic, the Central Govan Action Plan team is about to get another phase of public space improvements underway. The call is out to everyone in the local community to get involved and help shape proposals. 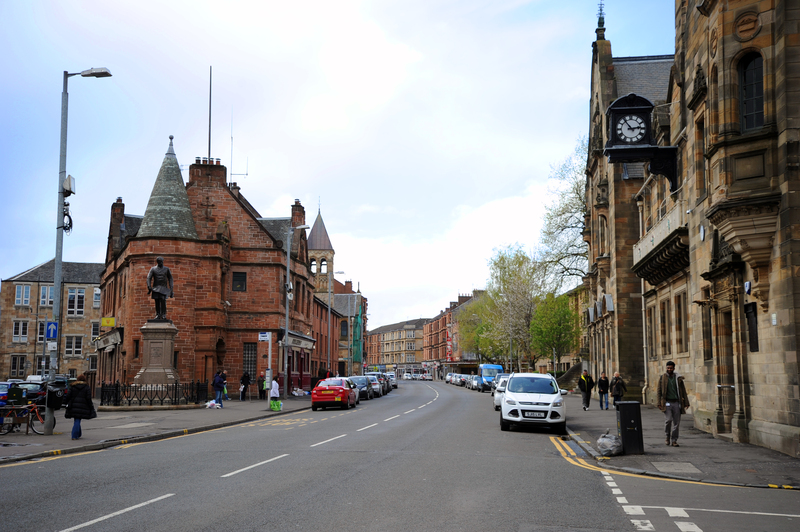 This time it’s the streets and spaces around the Pearce Institute, the entranceway to Govan Old, the gushet, Burleigh Street and Langlands Road that will be in line for a makeover. We’ve prepared some indicative design proposals to get the conversation started and you can view these in the attached flyer. 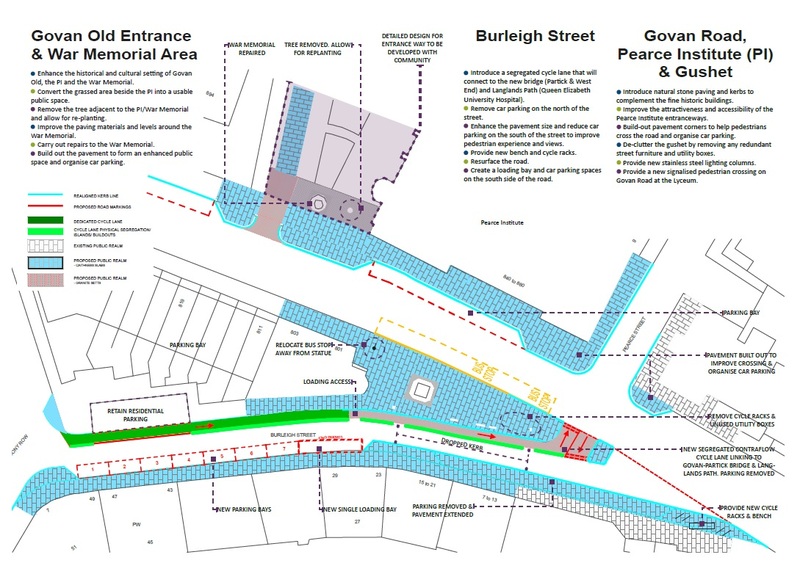 You’ll notice that there are no indicative design proposals for the entranceway to Govan Old. That’s because this is a rather special and sensitive historical place, and we intend to work directly with local people to research how this space was used and designed throughout the last centuries and to identify what type of use and design people most want to see today, before asking everyone to agree on the final design. 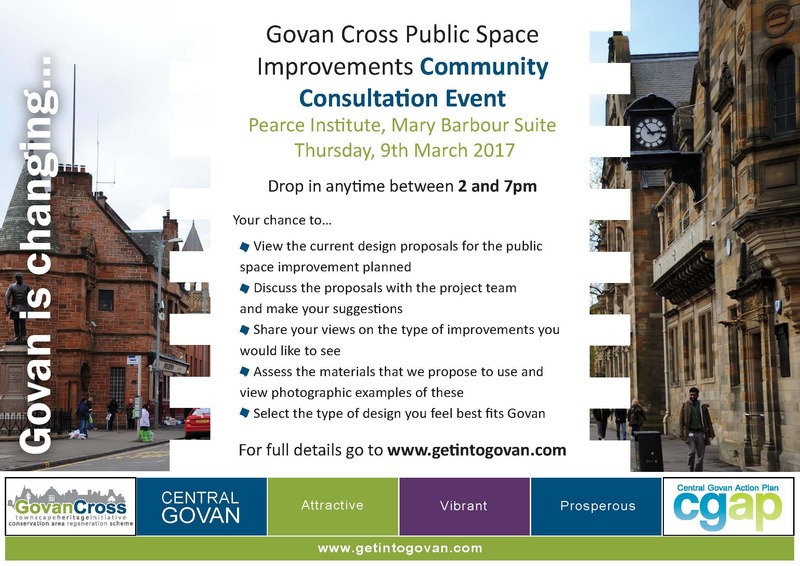 Drop-in to the Pearce Institute on Thursday 9th March anytime from 2pm to 7pm to view the current design proposals. The project team will be on hand with tea and biscuits to listen, answer questions and record your views. We are also looking for local residents and interested others who would like to help research and design the entranceway to Govan Old. No previous experience required. Interested? Contact us using the following details. Telephone 0141 274 3412 to arrange a time to speak to a member of the project team. Write to Barry Clarke, Central Govan Action Plan, Orkney Street Enterprise Centre, Govan, Glasgow, G512BX. This initial phase of community consultation will close on 31 March 2017. Your views will be used to develop detailed designs by June 2017, working toward a site start by February 2018.